All I have to say today is TGIF!!!! This has been the longest week, and I am so thankful for two glorious days off! Brian is home from his business trip so things are back to normal after what can only be described as a tumultuous week. I’m just ready to kick back on the couch with B and a couple of beers, catch up on all of the TV we missed, and relax. Easter is right around the corner, so it’s already time to start thinking about finding some pastel pretties to wear for the big day. Growing up, my parents always bought a brand new dress for me to wear on Easter, and I have continued that tradition for myself throughout the years (with the exception of my broke college student years – ha!) because who doesn’t love a reason to buy a new dress? I always try to pick one that I can also wear to work, or to weddings, or vacation, or for family pictures, or something so I can get my money’s worth. Here are the top picks that I came across and couldn’t resist sharing. Well isn’t this dress just floral purple perfection!! The style is so flattering… it reminds me of an old fashioned June Cleaver dress, but redesigned for the current times. So elegant and classic. And as you can see, I called it my dream dress, because that’s most certainly what it is… I just can’t bring myself to spend that much money! Boo. Ruffles ruffles ruffles! 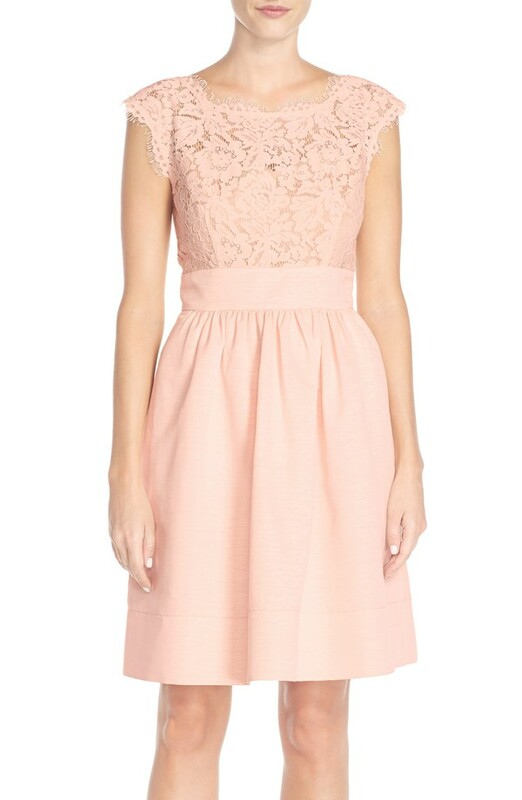 This beauty could be worn for much more than Easter – it would be perfect for a wedding, gala, or even a fancy date night! And the black one? Talk about the perfect little black dress! I would definitely wear this one in all three colors and it would be really hard to choose which one to buy. Why do I always have such expensive taste, though?! 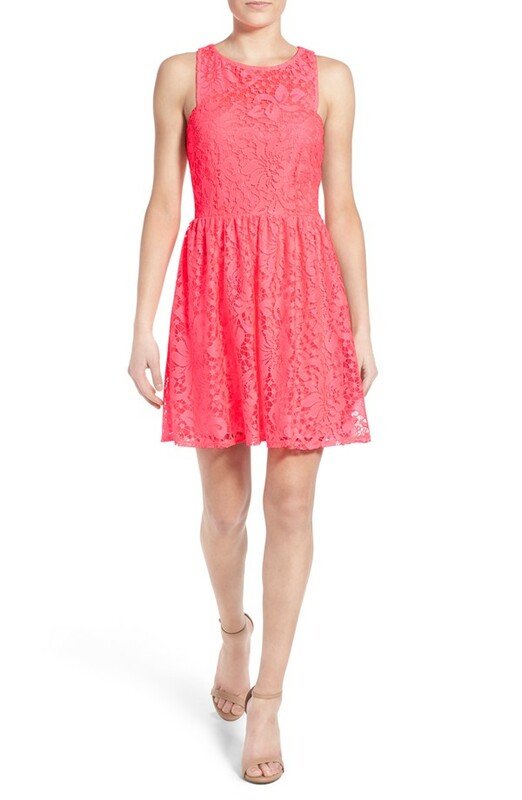 Aaaall the heart eyes for the lace details and the low-cut back on this dress!! Seriously the epitome of a feminine dress. Any woman would look lovely in it. Lace all over and a price that’s much more my speed! 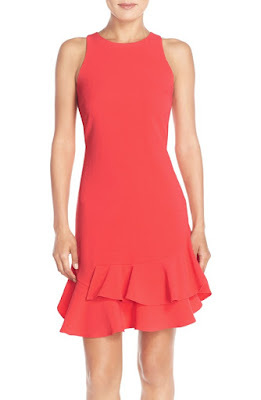 I love this dress, but I'm thinking that maybe it's a little short for church, though? Hard to tell, because that model is probably 6 feet tall! 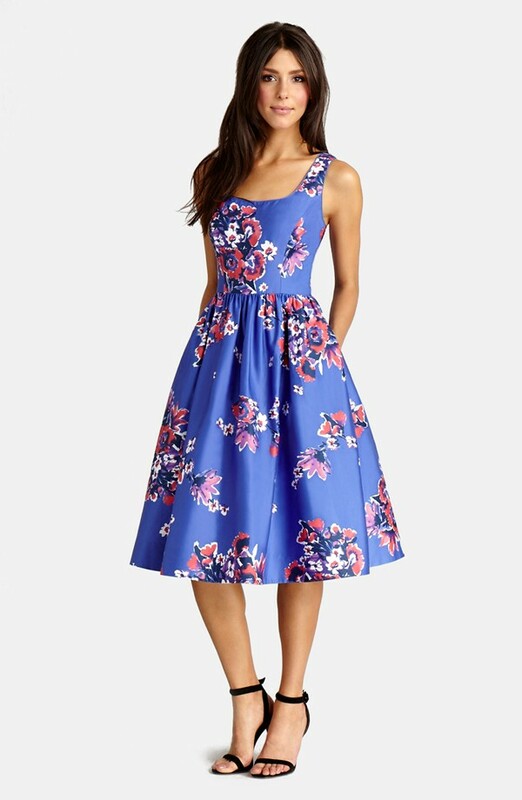 I bought this dress late last summer at Kohl’s when they put all of the summer clothes on clearance, so unfortunately it’s no longer available online. 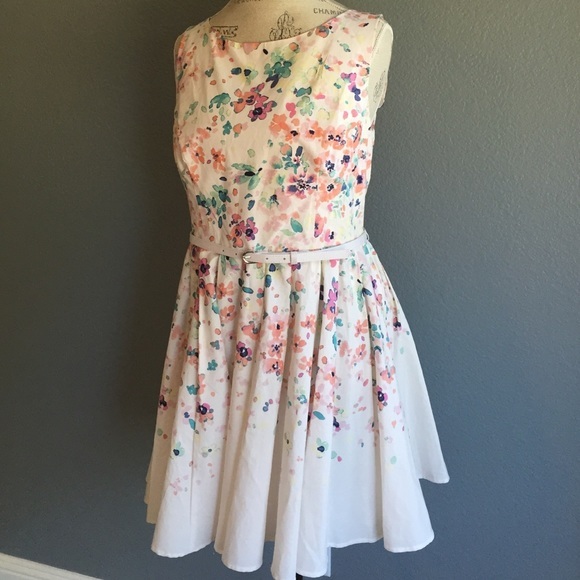 I’ve never bought an Easter dress so far in advance before, but I couldn’t pass this one up! The fit is so flattering, the cut out back is beautiful, and the price was a friggin’ steal. Not to mention it’s Lauren Conrad! Who doesn’t love her? So tell me, what do you do for Easter? Do you always buy a new dress, too? *Linking up with A Liz Adventures and Carolina Charm for Five on Friday, A Little Bit of Everything for Friday Favorites, Living for Naptime for BFF Friday Link-up Party, and September Farm and The Farmer's Wife for Oh Hey, Friday! Ok, the first dress, swoon!! But I really love yours! It's so pretty!! Happy Weekend, friend!! Thanks, Lizzie! I do love that first dress, too! All of these dresses are beautiful! I love the one you are wearing! I might have to steal #3! I love that you buy a new dress each year. This is such a cute tradition. And, I LOVE all of your choices. That lace Elize J one is AMAZING. I want it now, haha. I love the one you purchased too! You're going to look so pretty. I love everything you chose, but that first dress is just gorgeous!!!! I love the Lauren Conrad stuff at Kohls! That dress is perfect! I wish we had nicer weather at Easter.. it ALWAYS rains on Easter in Oregon and is usually around 50 degrees, so being in the mood to wear a pretty spring dress doesn't really happen. Boo. I will live vicariously through your pretty dress picks! I love all of the dresses!! I love the one you got! It is so pretty. I love that you buy a new dress every year. That is such a great idea. Now, you have me wondering what I'm gonna wear to Easter Brunch. I love all of these, but I REALLY love the one you're wearing! I wish it was still available! I love all of these, but especially number three and the one you're wearing!! Happy Friday! Thanks, Melissa! Happy Friday to you! I love those dresses. And the first one is beautiful. Loving it so much. I would love to wear it to the wedding I have at the end of April as well. Wow! I love all of those dresses! The one you picked is beautiful! We have had cold, rainy Easters the last few years; here's hoping this one is sunshiny and warm! Love your dream dress. It is GORGEOUS! The one you have is so cute, though. I love the cut out and the colors are exactly what I think of for Easter. All of these are so pretty but I think my favourite out of all of them is the one you already own!! The back is stunning!! The second runner up is so pretty. 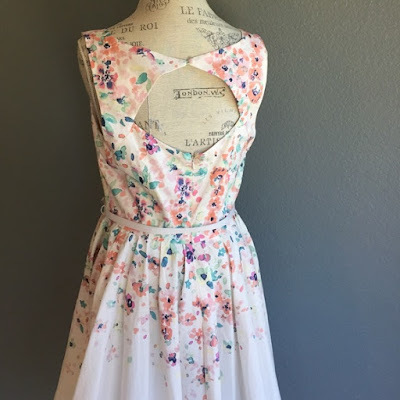 Someone could wear it to their bridal shower and use it again for Easter! Yes! That first dress!!! Ahhhh!! I KNOOOOW, RIGHT?! Could it please just fall out of the sky and into my closet? !